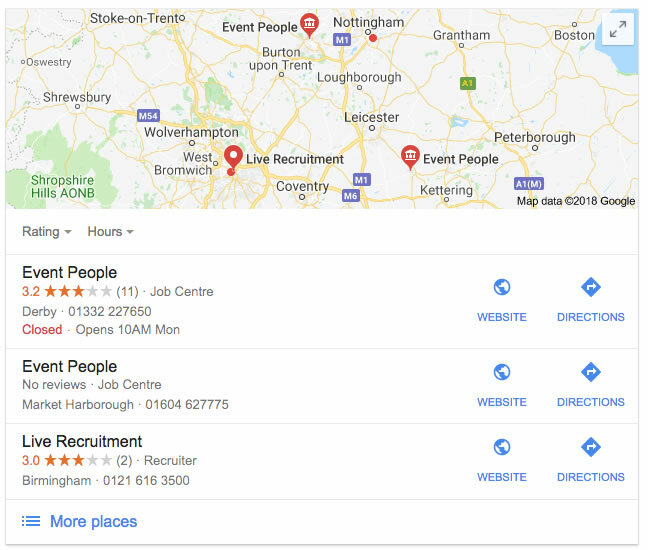 Local SEO maximises your presence in location-based search results and is increasingly important as searches from mobile devices become dominant. Increasing the visibility of your business within your locality can be as important as SEO for national and international searches. This is particularly true if you own a local services business or a physical store that requires footfall. Put simply, in addition to ranking for relevant searches, it’s really important not to forget to clearly tell your audience exactly where they can find you. The consistent growth of mobile browsing has created a greater need for businesses to develop strong local SEO strategies. This is because increasing numbers of consumers are conducting searches with a specific aim of locating the best businesses within a particular area. Statistics surrounding localised searches are phenomenal. Google reports that more than 40 percent of searches completed on its platform are local. That’s huge. But what’s even more staggering is that almost 80 percent of local searches conducted on a mobile device result in a purchase made offline. Considering that mobile browsing is expected to continue growing, you can expect these already huge numbers to continue to increase. Developing an effective local strategy relies on the ability to position your business in such a way that it appeals to your audience for both relevance and location. Successful local SEO requires a technically sound website, together with fully optimised and closely targeted content. I have years of experience in local search and will work closely with you to audit your local online presence and develop a bespoke local strategy that works for your business and your audience. Reviewing marketplace trends, conducting thorough keyword research and utilising my experience with Google’s search algorithms, I will ensure that your business becomes the go-to site for your niche within your target area.